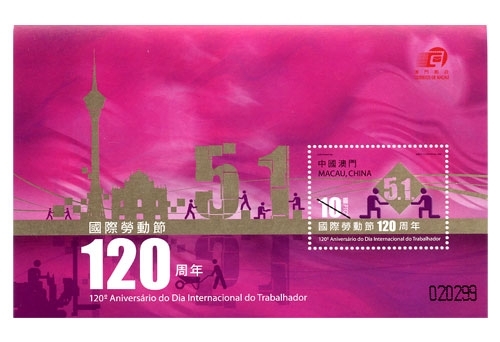 The stamp designer for this issue is Mr. Luis Chiang, and the text for the information brochure is written by the Labour Affairs Bureau of the Macao Special Administrative Region Government. 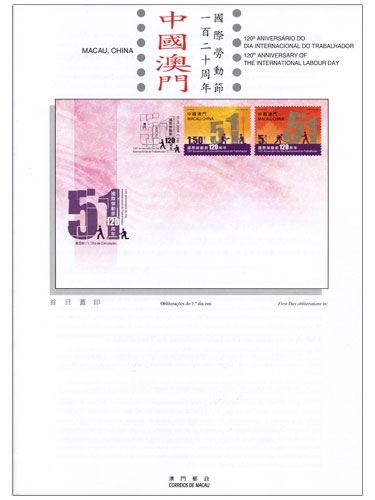 This is the sixth issue in 2009. 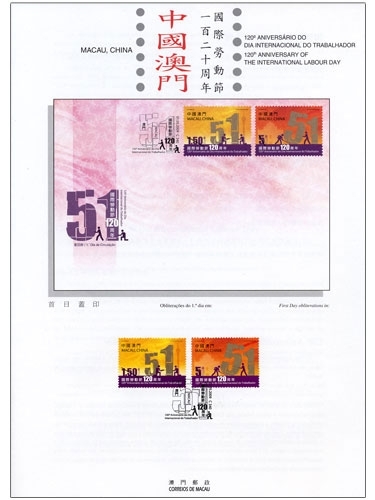 The issued stamps are as “Bicentenary of the Birth of Louis Braille” on 04/01/2009; “Lunar Year of the Ox” on 08/01/2009; “Opening of Kun Iam Treasury” on 20/02/2009; “Traditional Instruments II” on 01/03/2009 and “Mainland Scenery III” on 08/04/2009. 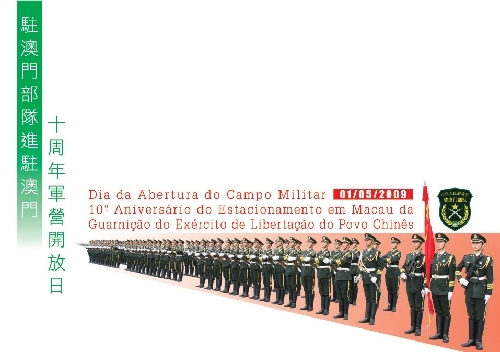 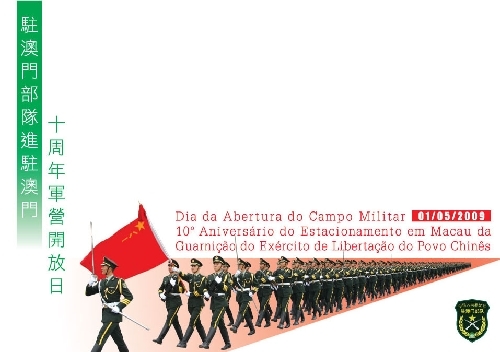 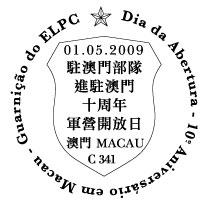 To cope with the Open Day of the Military Camp in Commemoration of 10th Anniversary of the People’s Liberation Army Macau Garrison, Macao Post announced that a Temporary Post Counter will be set up at the Philately Shop located at Macao Post Headquarters at 13H00 to 18H00 on 1st May 2009 providing the commemorative postmark cancellation service for the “Open Day of the Military Camp in Commemoration of 10th Anniversary of the People’s Liberation Army Macau Garrison”. 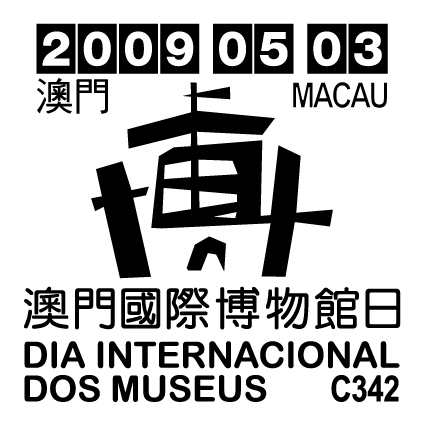 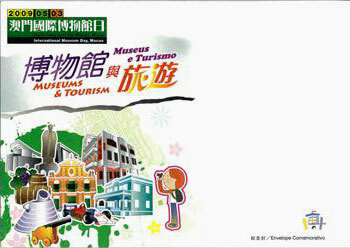 To celebrate the International Museum Day, Macao 2009, Macao Post announced that a Temporary Post Counter will be set up at Culture Center Plaza at 14H00 to 18H00 on 3rd May 2009 providing the commemorative postmark cancellation service for the “International Museum Day, Macao 2009”. 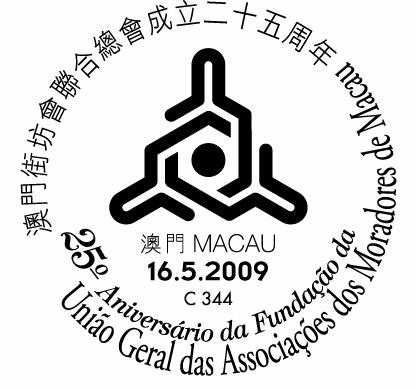 To celebrate the 25th Anniversary of Foundation of the Union General of Community Association of Macau, Macao Post announced that a Temporary Post Counter will be set up located at Macau Forum at 17H00 to 21H00 on 16th May 2009 providing the commemorative postmark cancellation service for the “25th Anniversary of Foundation of the Union General of Community Association of Macau”. 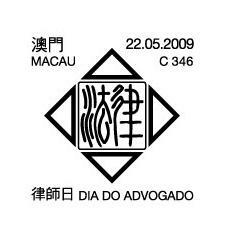 To celebrate the Lawyer Day 2009. 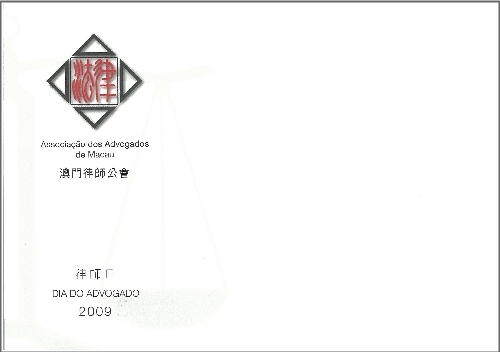 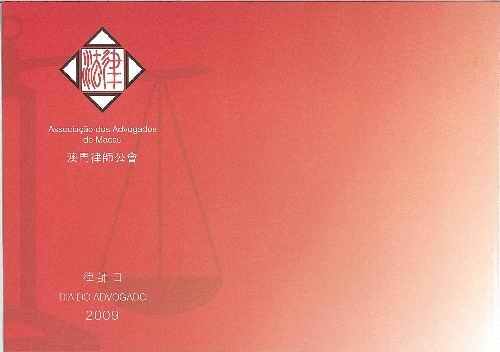 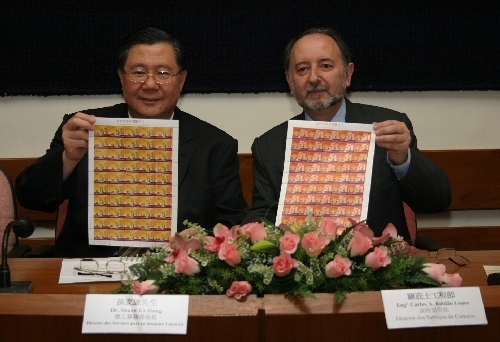 Macao Post announced that a Temporary Post Counter will be set up at Senado Square, at 16H30 to 19H30 on 22nd May 2009 providing the commemorative postmark cancellation service for the “Lawyer Day 2009”. 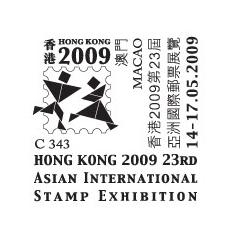 Macao Post will participate the “Hong Kong 2009 – 23rd Asian International Stamp Exhibition”, located at Hong Kong, during 14th to 17th May 2009. 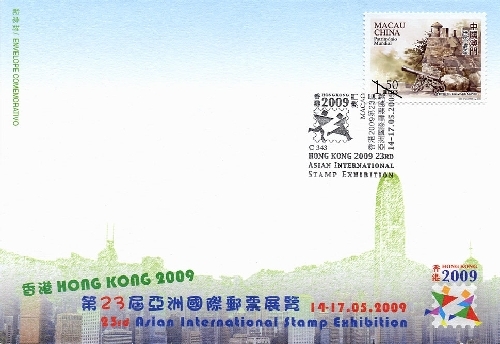 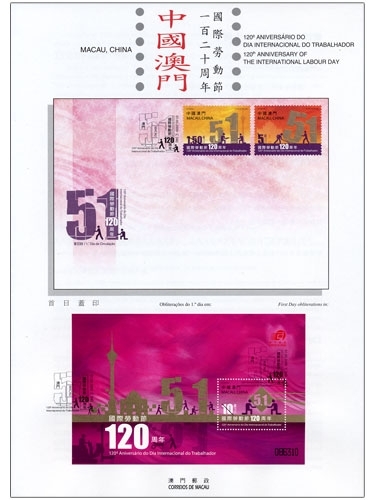 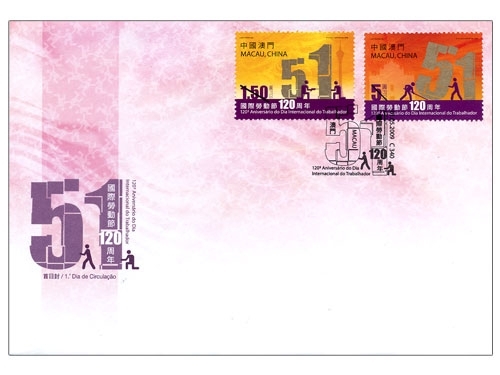 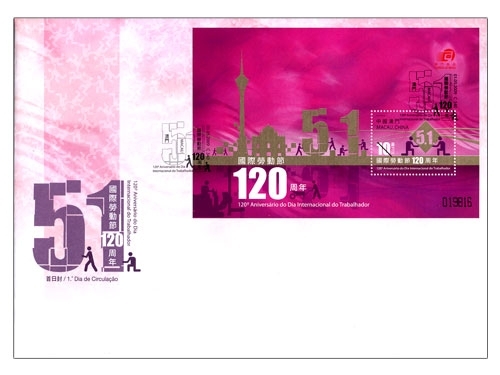 To commemorate this Exhibition, Macao Post produces the commemorative envelopes and provides the commemorative postmark cancellation service for the “Hong Kong 2009 – 23rd Asian International Stamp Exhibition” on site of the exhibition. 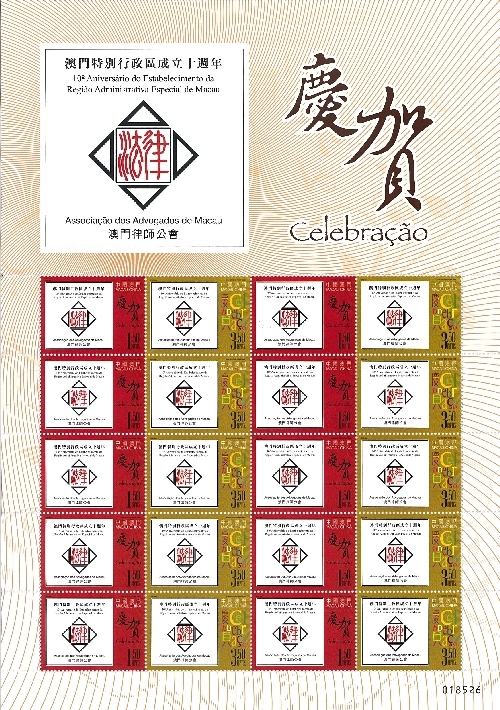 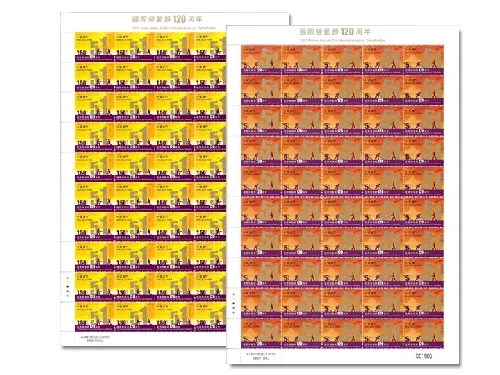 Be convenience to the philatelist, the commemorative envelope with stamp priced at MOP3.50 will also be available for sale at the Philately Shop of Macao Post Headquarters starting from 14th May.